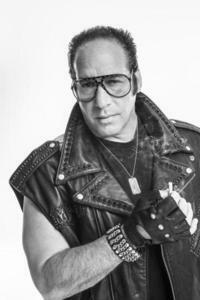 Andrew Dice Clay has always insisted the person people see onstage is just a character. The “Diceman” says awful things onstage, but the real Clay is supposed to be mensch. That has been the line for years, one he reasserts himself in his new memoir, “The Filthy Truth,” released this week. “He really is that person,” says Eleanor J. Kerrigan, Clay’s regular opener for the past several years and his ex-fiancee. She credits Clay with helping her get established as a stand-up comedian. She remembers being harassed by one of Clay’s crowds early in her career and then going backstage to find him furious. He refused to perform until she talked him out of it. Clay’s act has changed a bit since his heyday in the ’80s and ’90s as the untouchable “Diceman,” the rock ’n’ roll comic who opened fire on everything except himself. There was no vulnerability, no obvious “tell” that his act was a parody.